Recent grad Jermy Jamison (left) was team leader for the Missouri S&T Steel Bridge Design Team. Photos by Bob Phelan. Jermy Jamison, a recently graduated mechanical engineer from Lone Jack, Mo., is a prime example of what an interdisciplinary education with some experiential learning thrown in can do for you. Jamison landed a job at Exxon Mobil Corp. as a business performance analyst and he credits his time as a leader of the Steel Bridge Design Team, along with several internships, with helping prepare him for his career. 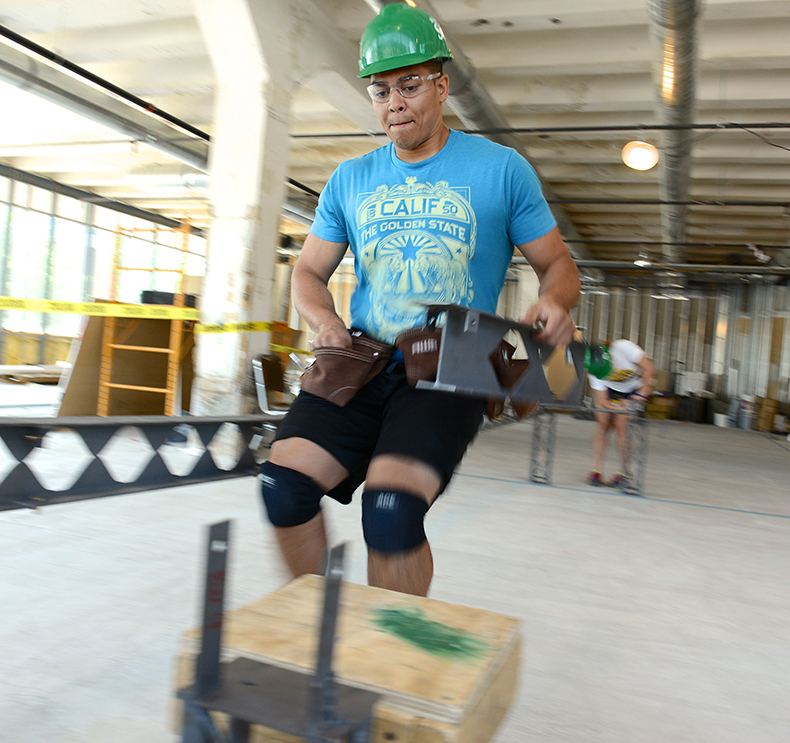 Jermy Jamison practices for the national steel bridge design competition that was held in May. After his first year on the team, Jamison liked the teamwork and camaraderie so much that he ran for and won the position of 2013-14 team leader. Under his guidance, the team earned first place at the American Society of Civil Engineers’ Regional Competition in April. The team recently traveled to the national competition, where it earned third place in construction speed, second place in construction economy and finished 35th overall. While it isn’t uncommon to find a mechanical engineer on a civil engineering-based team, what sets Jamison apart is his varied work experience. He interned at General Motors for two summers, working with its aerodynamics team, and later working on a metallurgical engineering-based project. He also had an engineering internship at Bayer Corp. in Texas. As a mechanical engineer, he has interned with aerospace and metallurgical engineering groups, led a civil engineering-based design team and is now working for the world’s largest petroleum engineering company.